My go-to summer supplement, astaxanthin, is often called nature’s strongest antioxidant. It is a potent naturally occurring carotenoid found in foods like salmon and krill. Astaxanthin is well-studied and has many benefits, but I take it for one very noticeable benefit: sun protection. My results have been drastic. Before supplementing, I could burn in 15 minutes in bright sun. Now, I can handle moderate (and healthy) sun exposure without burning at all. 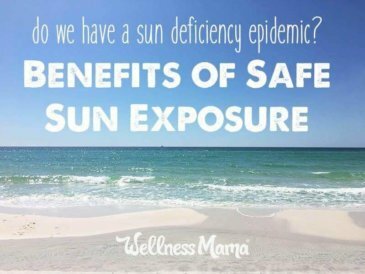 Thanks to my vitamin D receptor (VDR) mutations (more on how I found that out below), and my doctor’s recommendations, I am supposed to get moderate sun exposure and this makes it easier and safer. Carotenoids are a class of more than 600 naturally occurring pigments synthesized by plants, algae, and photosynthetic bacteria. These richly colored molecules are the sources of the yellow, orange, and red colors of many plants. Astaxanthin in particular is one of the most powerful and most studied carotenoids. It is produced when a certain species of algae dries up. Basically, the algae produces this carotenoid to protect itself from the effects of losing its food/nutrient supply and to stay alive. Natural sources include this algae and animals that consume it including krill and salmon. It is found in very high amounts in the muscles of salmon (it is the carotenoid that gives salmon its bright red color) and is said to be responsible for the endurance they need to swim upstream. Interesting fact, it is the higher astaxanthin content that gives wild caught salmon a brighter red color than their farmed counterparts. Unlike many antioxidants, astaxanthin does not turn pro-oxidant (harmful to the body) at any point in the digestive process. Because it is 6000 times more powerful than vitamin C, giving it tremendous ability to reduce free radicals. 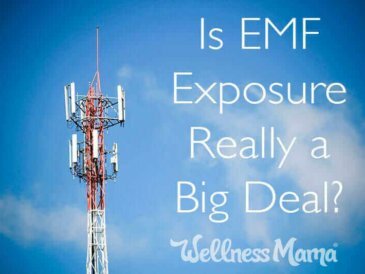 It is able to cross the blood/brain barrier and the blood/retina barrier so that it can benefit the brain and eyes (many antioxidants do not have this ability. Mounting evidence suggests that it may reduce c-reactive protein (CRP) and tumor necrosis factor alpha. This supplement is now used by many athletes, especially endurance athletes. Exercise, by its nature, produces free radicals. 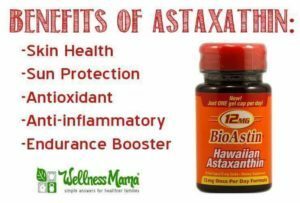 As an antioxidant, astaxanthin reduces them, but its effect goes beyond just that. 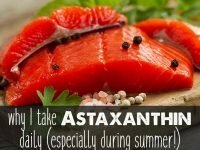 Astaxanthin is found in the highest amounts in the muscles of salmon. Scientists theorize that this bright red antioxidant is at least partially responsible for the extreme endurance of salmon as they swim upstream. One of the main reasons I started taking astaxanthin is for its sun-protective benefits. It works as an internal sunscreen of sorts since it reduces inflammation and helps reduce UVA damage to skin cells. I am naturally fair skinned and this supplement allows me to get healthy sun exposure without burning or getting freckles. A sunburn is a type of inflammation and if there are already sources of inflammation in the body, it is more likely to burn. I’ve found that since taking this regularly and eating a naturally low-inflammatory diet, I have lower levels of inflammation in general (per lab results) and tan more easily without burning. Astaxanthin’s unique property that makes it an added protection agains the sun is found in the way it is created. The algae Haematococcus pluvialis creates astaxanthin as a protection from the heat and sun to save itself when it loses its water supply. The pigment works as a sunscreen of sorts that protects the algae from the sun. In this way, astaxanthin works as an internal sunscreen for humans and gives skin a natural (very subtle) red/brown pigment. 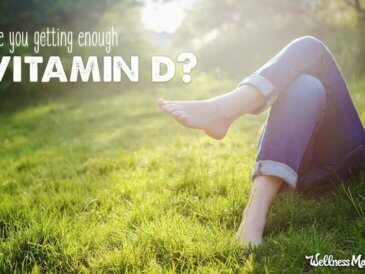 I’ve been using this supplement daily for several years, especially in warmer months when I’m outside. I typically take one 12 mg capsule each day, usually in the morning and with a meal or drink that contains fat (often that is just my healthy coffee or tea). I consider astaxanthin a food, not a supplement, and I try to consume it as part of a healthy diet (and I love seafood, so no problem there). That being said, it would be very difficult to get large amounts from food. There are also mercury concerns with consuming really large levels of seafood, though I do make wild-caught high-antioxidant salmon a regular part of our diet (we get ours here). For best results, start with this supplement well before summer to build up your system and prepare for enjoying the sun safely! 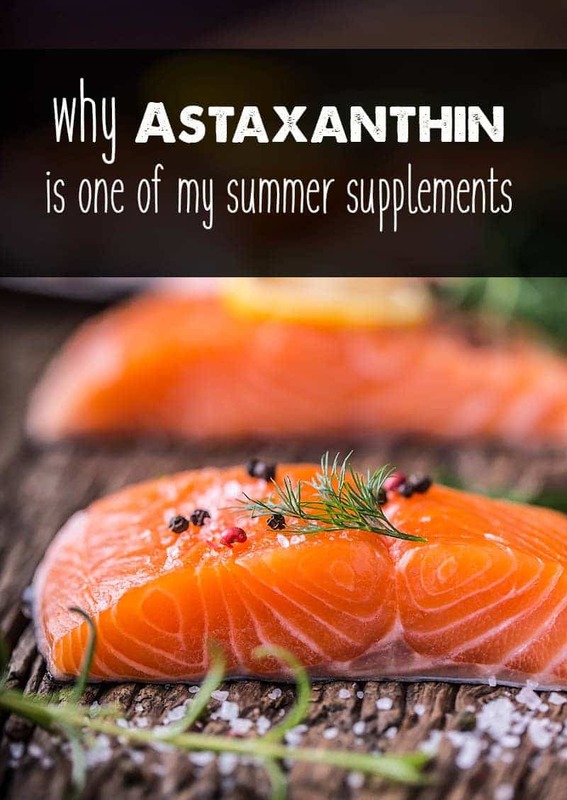 Ever taken astaxanthin? Did you notice any benefits? Share below!